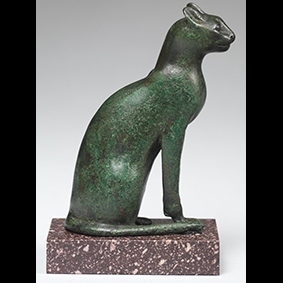 From domesticated pets to mythic symbols of divinities, felines played an important role in ancient Egypt for thousands of years. 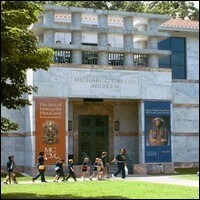 The Carlos Museum presents "Divine Felines: Cats of Ancient Egypt," an exhibition featuring cats and lions (and even dogs and jackals) in ancient Egyptian mythology, kingship, and everyday life. Drawn from private as well as public collections of the Brooklyn Museum and the Carlos Museum, the exhibition will be on display for nine months and showcase more than 100 objects exploring wild and domestic cats and dogs, feline and canine deities, animal burial practices, and luxury items decorated with feline and canine features.